To help lower high blood pressure. May also help with arteriosclerosis and atherosclerosis. Black Cohosh is an antispasmodic and sedative. Germany’s Commission E recommends using Black Cohosh as a menopause herb and for dysmenorrhea and PMS. Clinical results show improvement in hot flashes, sweating, headache, vertigo, heart palpitations, high blood pressure, tinnitus, nervousness, irritability, sleep disturbance, anxiety, vaginal dryness, and depression. As a menopause herb, medical studies reported Black Cohosh to be more effective than estrogen in relieving symptoms and in normalizing the appearance of vaginal cells under microscopic evaluation. Blue Cohosh is high in minerals. Combined with other herbs, it is beneficial in the treatment of bronchitis, nervous disorders, high blood pressure, urinary tract ailments, and rheumatism. BLUE COHOSH (Caulophyllum thalictroides) Use for menstrual difficulties; regulates and promotes menstrual flow. Stimulates childbirth safely when imminent (pregnant women should not use except in the last month of pregnancy). 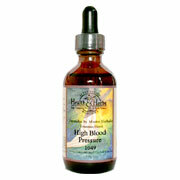 Good for meningitis, neuralgia, diabetes, high blood pressure, spasms, fits and epilepsy. High in potassium, magnesium, calcium, iron, silicon, and phosphorus. Combined with other herbs, it is beneficial in the treatment of bronchitis, nervous disorders, urinary tract ailments and rheumatism. Wild Cherry Bark is an astringent, carminative, expectorant, nervine, and cough suppressant. WILD CHERRY BARK (Prunus serotina) It is best to use bark that has been collected in the fall (when the prussic acid content is highest), and some herbalists allow the bark to age before using. Its main use is for its sedative action on the respiratory nerves. This works via the prussic acid which first increases the respiration and then sedates the sensory nerves which provoke the cough reflex. It is used for coughs, asthma and other chest diseases. The other system this herb works with is the digestive system: it helps to aid digestion and is useful in the treatment of digestive weakness, including ulcers, gastritis, colitis, diarrhea, dysentery, high blood pressure, and dyspepsia. The American Indians had numerous uses for this herb: to ease the pain of labor, diarrhea, lung problems, as an enema for hemorrhoids, and for dysentery (using the juice of ripe cherries and then fermented for one year). CAUTION: the leaves are considered to be poisonous. Sanicle is often used in combination with other herbsfor blood disorders. Internally it is used for ulcers, hemorrage,excessive minstrual flow, chest, and lung, congestion,leucorrhea, diarrhea, high blood pressure, syphilis, and, gonprrhea. Externally it is used as a gargle for mouth ulcerations and sore throat. Hyssop is an expectorant, carminative, and diaphoretic. HYSSOP (Hyssopus officinalis) Its main use is for respiratory disorders–colds, flu, bronchitis, upper respiratory catarrh, and high blood pressure. It contains the bitter component, marrubiin (also found in White Horehound), which has expectorant properties. It may be used for fevers, as it promotes sweating. It has also been used for sluggish digestion, mucus congestion in the intestines, and for throat infections. It can be useful for the cold sores of the Herpes simplex virus due to its antiviral activities. Externally, it is beneficial for burns, bruises, wounds, and infections. Garlic is an antibiotic, anticoagulant, and blood purifier. GARLIC (Allium sativum) Garlic is stimulating to the digestive glands and helps allay poor digestion. It is a natural antibiotic, builds the blood, and is an overall great healer. Its expectorant action makes it useful for chronic bronchitis, chronic stomach problems and stomach catarrh. It is useful with all intestinal infections, such as parasites, dysentery, cholera, typhoid and parathyroid fever. It helps to lower the blood pressure, counteract arteriosclerosis, and benefits the circulation of blood. Can use with honey for coughs, colds and asthma. Garlic is healing to abnormal cell growth of the skin, and a cold extract can be used as an enema for intestinal worms (especially pinworms). Garlic also helps to regulate the action of the liver and gallbladder. Black Cohosh, Blue Cohosh, Yarrow, Hyssop, Wild Cherry Bark, Garlic Root, R/O Water, 12% Alcohol. High Blood Pressure is shipped in a discrete, unmarked package. Orders are processed immediately and usually take about 3 to 5 working days to be received. Any information received is used only for order processing and shipping purposes. Your information, such as e-mail address, will never be disclosed to a third party.